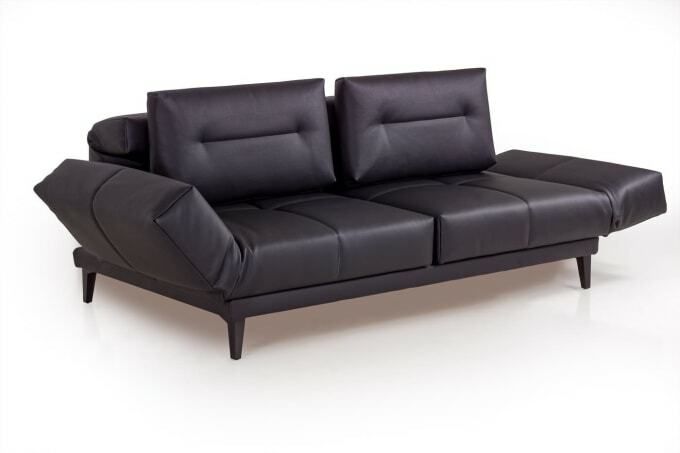 Elegant, versatile sofa with large lying surface. LETTO is a small space miracle and offers pure relaxation. The perfect symbiosis of sitting, relaxing and sleeping. By simply folding down the armrests, swivelling the seats and lowering the backrests, harmonious living functions are created. All elements can be adjusted separately from each other and thus ensure individual seating, relaxation and lying comfort. Do you have a question about "Letto XL"? How can we contact you?